This SOLID BOULDER Opal is from the Queensland mining fields in Australia. 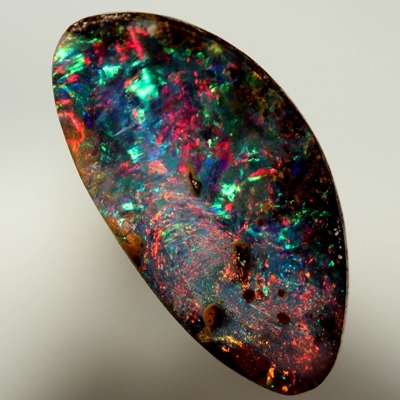 This opal is very lively, sparkling with very bright and rich colours. Very bright fiery colours of bright cherry red, golden green and a touch of blue in the background. All are vibrant and swap and change with the slightest movement. A dazzling piece from all angles.